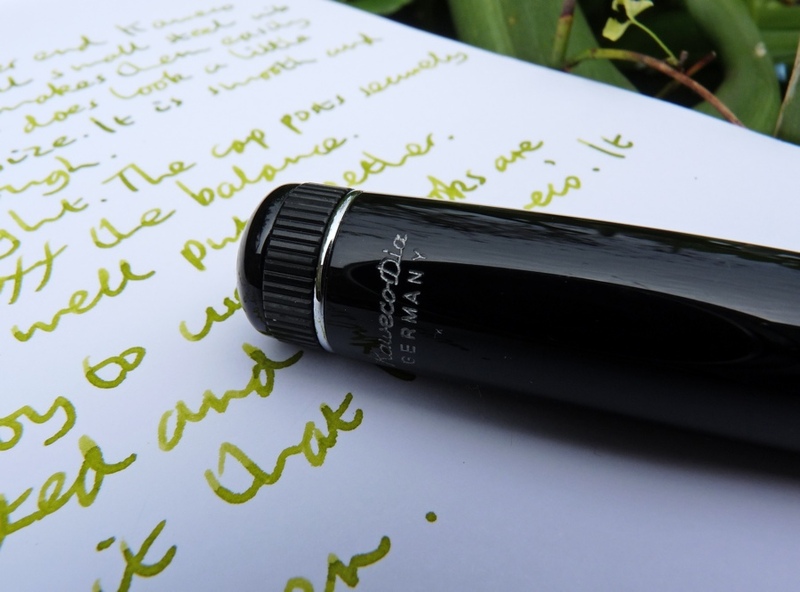 Kaweco Dia 2 fountain pen review – Pens! Paper! Pencils! The Kaweco Dia 2 isn’t quite as well known as the Sport range but is, like the sport, an evolution of a design that has been around for a long time. It’s one of Kaweco’s classics. It’s only available in black but can be found with chrome-plated trim, like this one, or with gold-plated trim for a little extra. The barrel is posh plastic, otherwise known as high quality acrylic resin. As seems to be always the case with Kaweco, the build quality is exceptionally good. 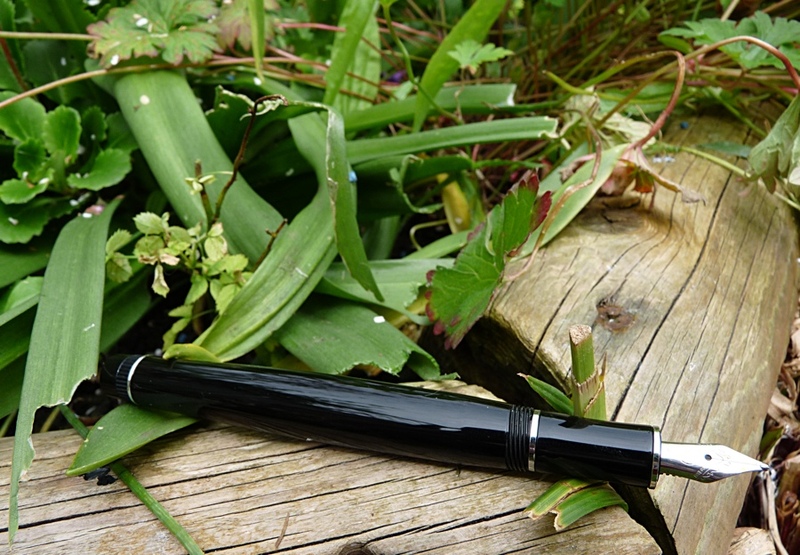 The nib is the standard Bock manufactured steel one found in all Kaweco fountain pens except the Elite. As such it can be swapped between Kawecos if you have more than one but it is perhaps a little small for this size of pen. The double broad nib in my version is lovely and smooth and wet. I’ve seen reports of the feed not being able to keep up with larger Kaweco nibs, and have found that myself in one instance, but I’ve not seen that at all with this particular pen. I didn’t think I was a double broad kind of man but it turns out I am. (At least when it comes to pens.) If you’re not then all the usual nib sizes are available, down to extra fine. The clip is made from brass and is very firm. A little too firm if you want to actually clip it to anything that isn’t pretty thin. The cap screws closed with just the smallest of turns but stays on securely. It posts deeply and doesn’t throw off the balance of the pen. I’m not a huge fan of the model name being stamped on the back of the cap. The Dia comes with a standard Kaweco converter, which works as you’d hope, and will take standard international cartridges if you prefer. 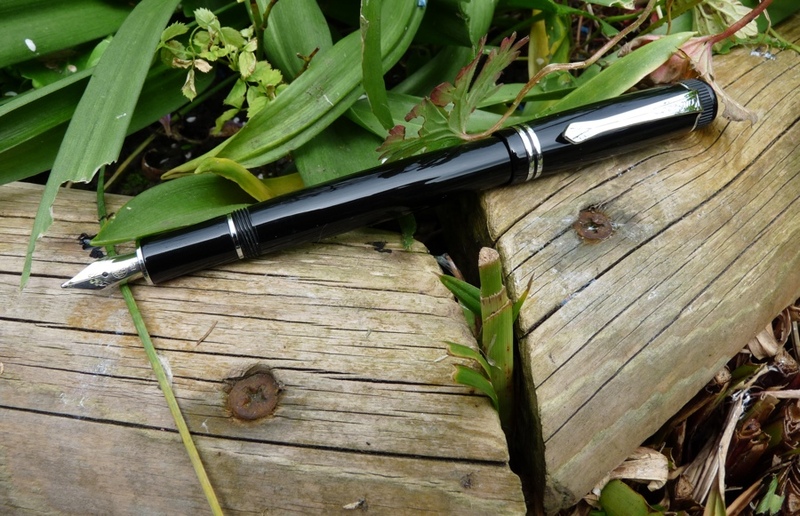 This is a fine looking pen. It harks back to its 1930s roots and has a lot of charm. 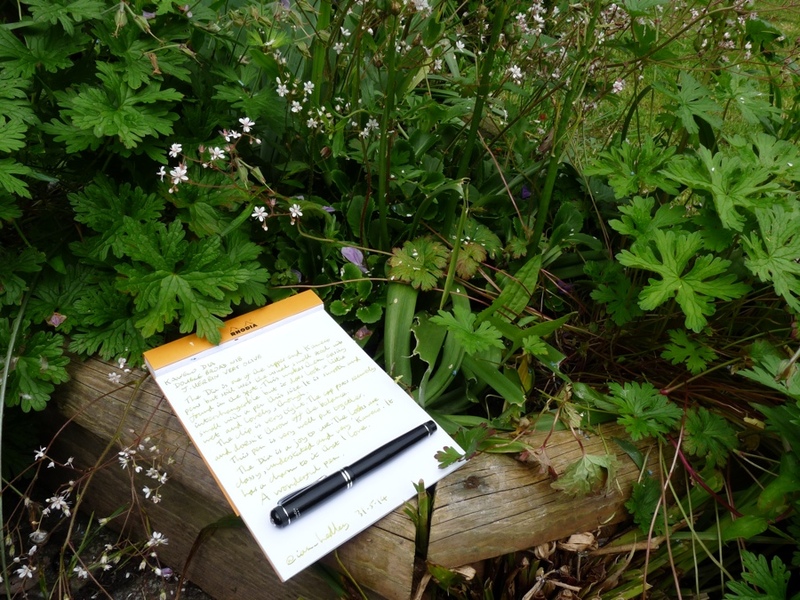 It’s great to write with: balanced, a good size and light but not so as it feels flimsy. A good pen has to write well and look good. 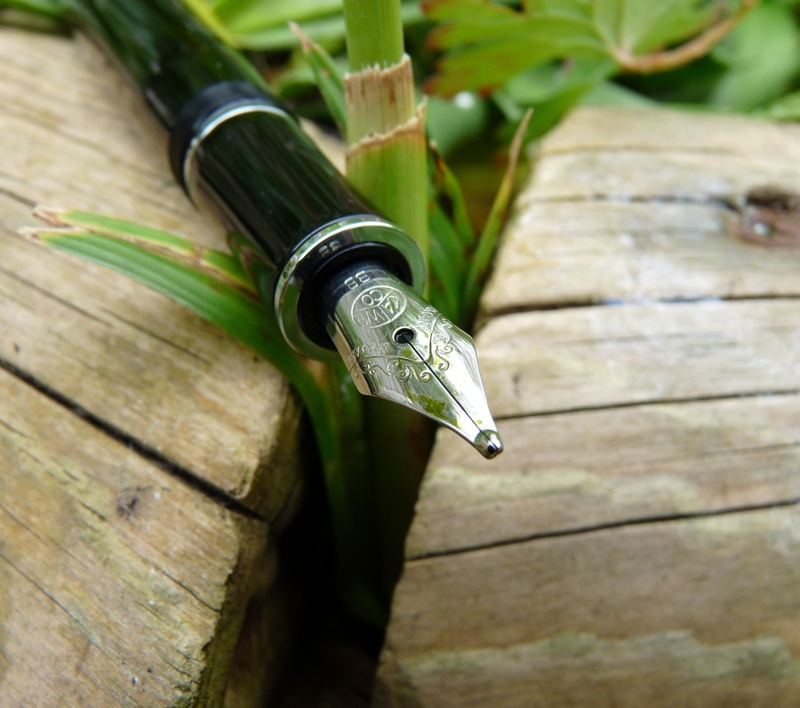 A great pen has something extra, it brings a certain joy to you each time you pick it up: it has charisma. This is a great pen. 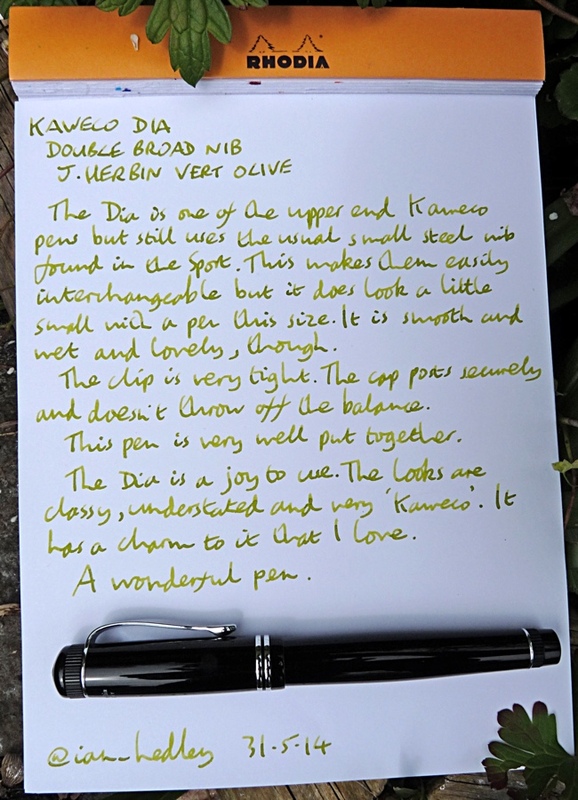 Kaweco loaned me this pen for the purposes of this review. I liked it so much I couldn’t bear to send it back to them so I bought it. Hi there, I just bought one of these and much like yourself cannot be happier with then pen… Except for one issue. I use the original converter as opposed to ink cartridges and find that fairly regularly the ink stops flowing and I have to open the barrel and actually push down the ink in the converter using the piston. 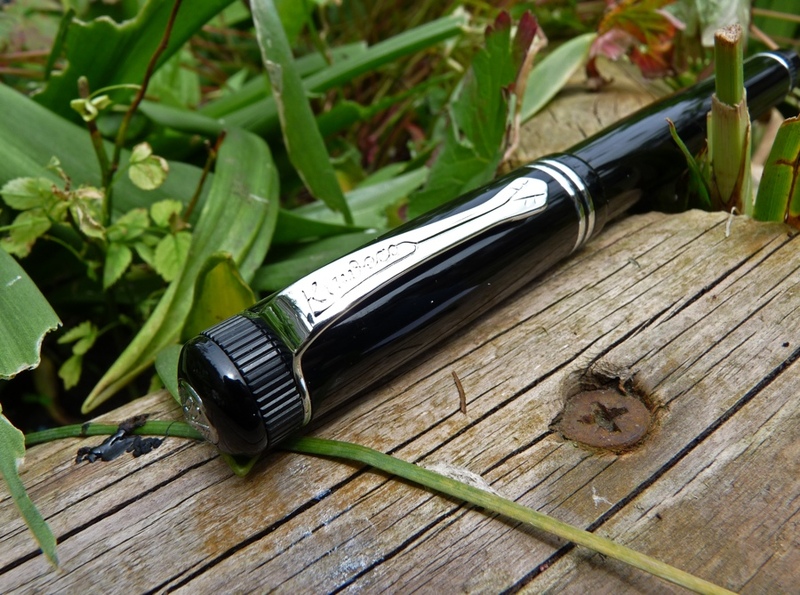 I also own a Faber Castell Ambition fountain pen – which I believe you have also reviewed – and don’t have the same problem with it. It writes until the ink is fully depleted, and I don’t have to mess with the piston until its time to fully refill the converter. Any advice for the newcomer to the world of fountain pens? 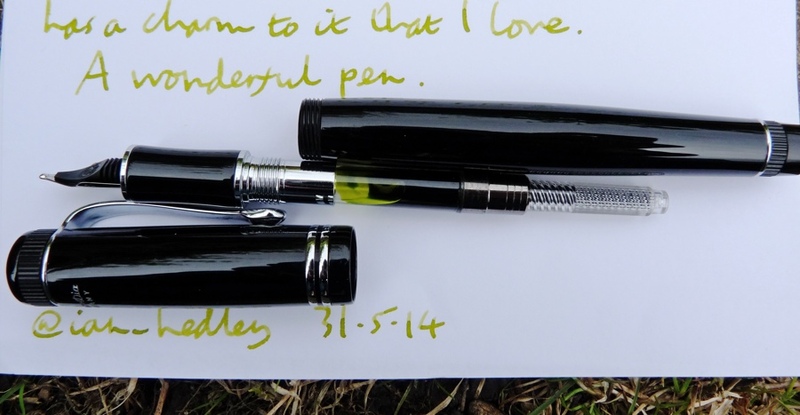 Can you share which ink you used in this review? It looks fantastic.